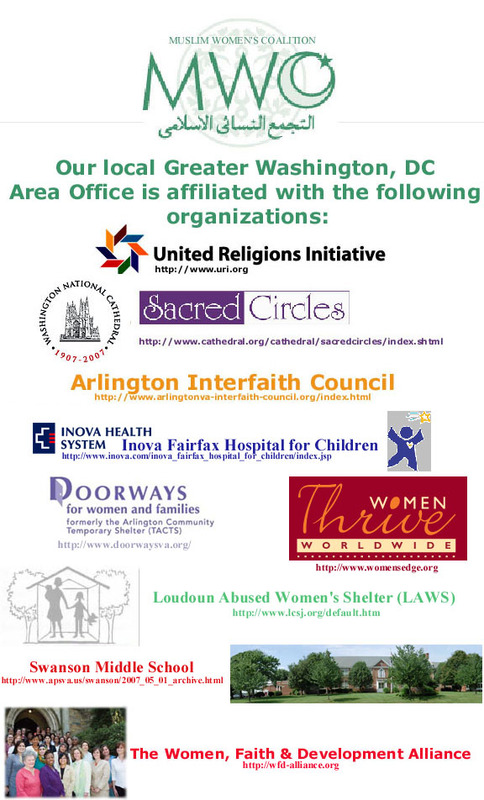 MWC’s Greater Washington DC Area office stands on its merit in building a positive and consistent relationship within the community, including all races, ethnicities and faith traditions. Our work is based on compassion and respect for all humanity. Our volunteers are committed to educating everyone about the beauty of Islam through the true Islamic principles of Ihsan: the perfection of one’s character. 5. Network, and form alliances to collate our resources to achieve the aforementioned goals. Our Office's History: MWC’s Greater Washington DC Area office stands on its merit in building a positive and consistent relationship within the community. We organize and participate in interfaith events, charity events, community outreach, and educational programming. Our most recent work also focuses on women’s issues. Aside from our local efforts, the DC office has been successful in helping out the NJ headquarters with international aid events. Our work is based on compassion and respect for all humanity. Our volunteers are committed to educating everyone about the beauty of Islam through the true Islamic principles of Ihsan: the perfection of one’s character. Under the direction of Uzma Farooq, the Vice President of MWC and Director of the local office, the office was established in February, 2002 with a handful of members and has grown today to include a large membership of diverse women. 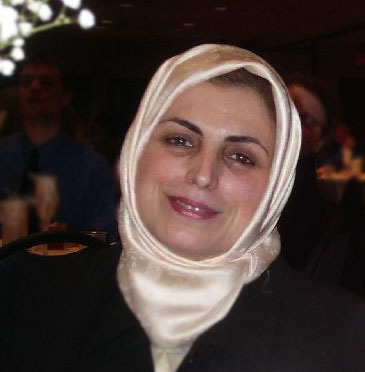 Muslim Women's Coalition has offices in several states, each which operates independently. Our local office’s efforts are coordinated by the regional director, receive support from its patrons, are guided by the steering committee members, and are executed by its volunteers. Without the support, dedication, innovative creativity and passion of these people, we would not be able to move forward. Find out more, and apply here! The Greater Washington, D.C. Area office is now offering the following internships: public relations internship, research internship, accounting internship, and programming internship. These positions are constantly sought for the summer and year-round. We now have an easier form for your to submit online!